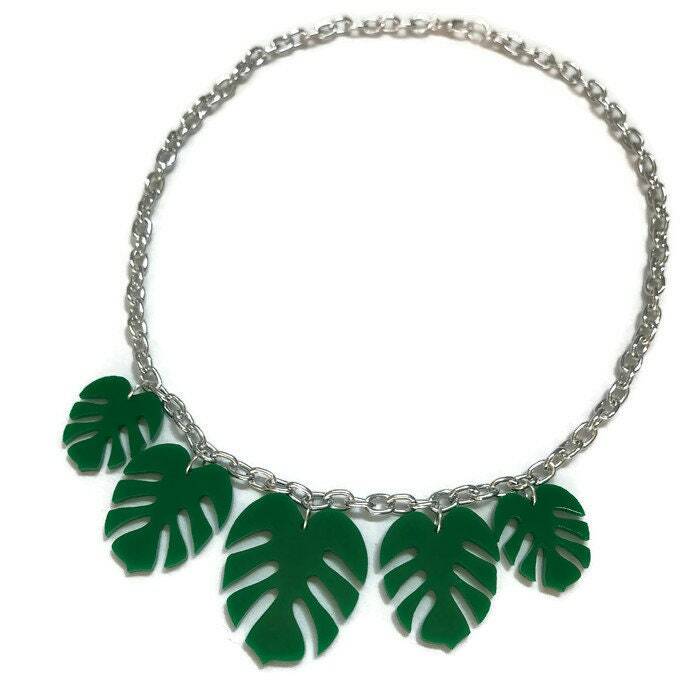 Inspired by the tropics this leaf necklace is fun and retro. 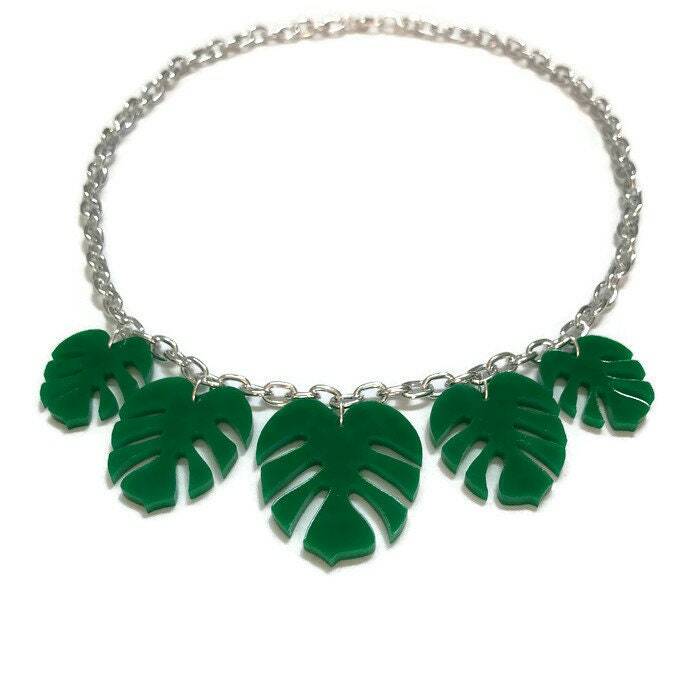 Made in the style of plastic jewelry of the 40s and 50s, this necklace features 5 monstera leaves in graduated sizes. 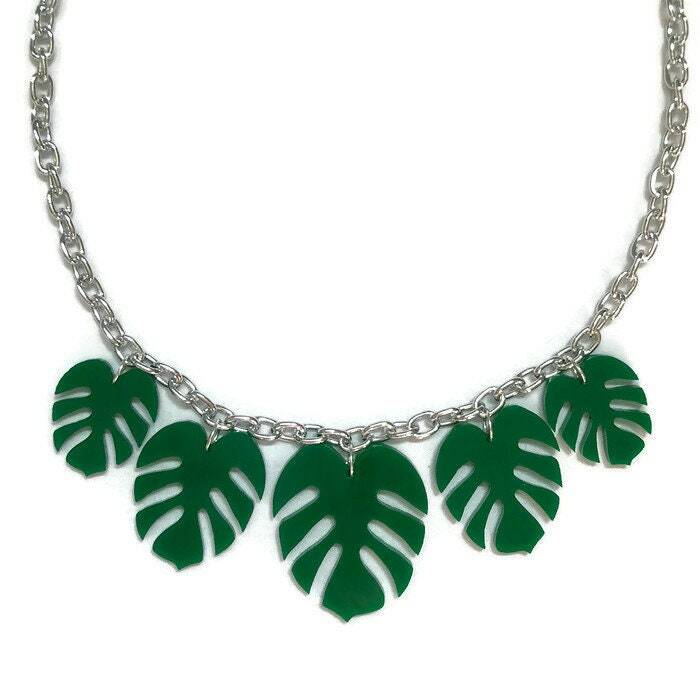 Each leaf is laser cut from lightweight green acrylic and hung from a thick silver colored cable chain. 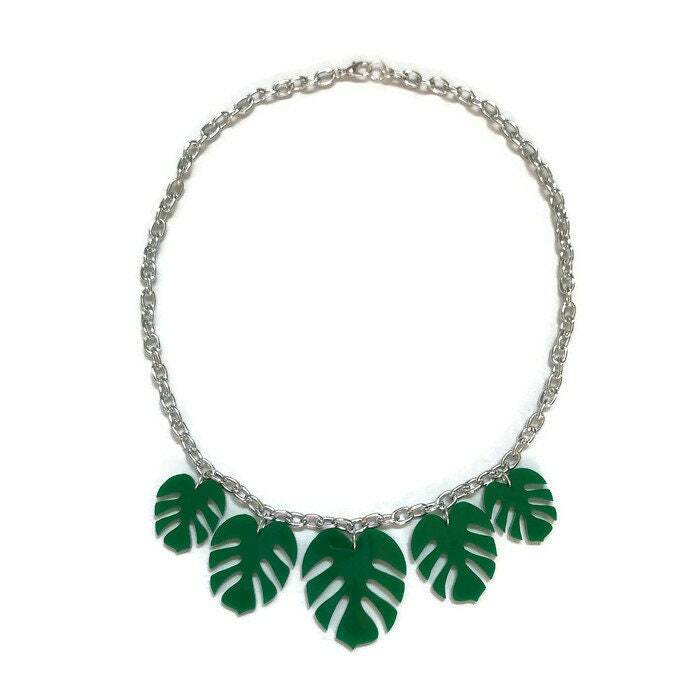 The perfect statement necklace for summer!